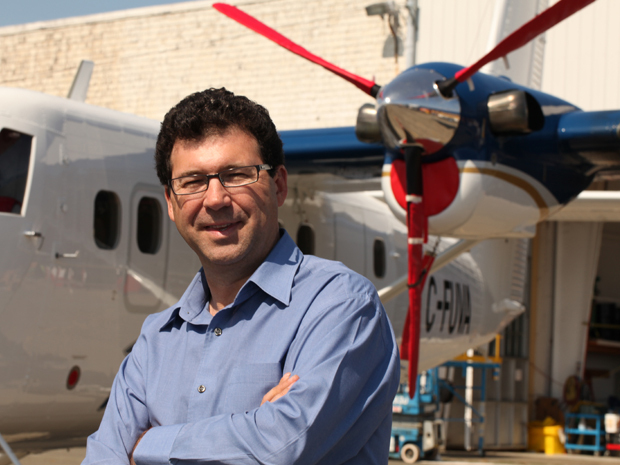 The new owners of Bombardier’s former Q400 type certificate say they’ll keep building the ubiquitous regional airliner in Canada but they’re not sure where. In a move that surprised most in the industry, Victoria-based Longview Aviation Capital, whose better known Viking Air is a subsidiary, bought the program for $300 million on Thursday. Longview CEO Dave Curtis told the National Post that all Q400 production currently done in Canada (major components are built in Ireland and Mexico) will remain in Canada but that’s a challenge. Bombardier builds the Q400 at Downsview in Toronto but sold that property earlier this year and has a lease agreement until 2023 at the latest. “There’s no question, the writing’s on the wall — we’ve go to move,” Curtis told the Post .“We don’t know yet what we’re going to do, and until we get in there and talk with the folks about what’s the market opportunity, we don’t have any decisions.” That’s made the union representing workers who build the aircraft jittery. “Our members are worried about it being moved to B.C,” said Mary Ellen McIlmoyle, president of the Unifor local. Although Longview is nominally based in Victoria, it has extensive facilities at Calgary International Airport and that seems like a more likely location for a production line. It already does final assembly of the Twin Otter there and new facilities to support the 2017 acquisition of the CL-415 water bomber program will be built there.